White Land Tax : How will it help revive the Saudi Arabian economy? The Kingdom of Saudi Arabia has got a rich past immersed in culture and tradition. Saudi people are always proud of their heritage, and even more proud and generous when it comes to sharing this heritage with people from other nations. Traditional food in Saudi Arabia is one of the most generously shared aspects of their heritage. Traditional Saudi food include a lot of meat, basmati rice, flat bread and fermented goat milk, this is probably due to a long history of herding sheep and goats, as well as a lack of rich fertile soil suitable for farming. Even though new farming technology has allowed growing numerous produce in Saudi Arabia now, Saudi Arabian cuisine has remained largely unchanged for thousands of years. Saudis are still fond of their traditional food, as they should be. Traditional Saudi food is delicious and rich in flavor. So let’s take a look on the most renowned and the hidden gems of traditional food in Saudi Arabia. Of course we cannot talk about traditional Saudi food without Kabsa being on top of the list! 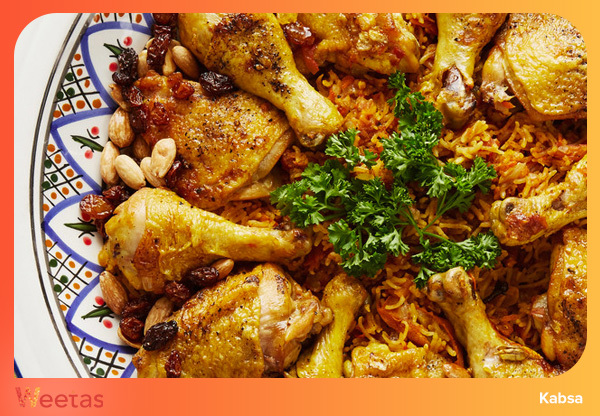 Kabsa is the most renowned traditional food in Saudi Arabia. Served in many countries across the world, it is one among the most globally celebrated traditional dishes. Kabsa is usually made with basmati rice, meat, vegetables, and a mixture of spices. One can say that the most important ingredient in the Kabsa is the mixture of spices; they are after all responsible for the dishes distinctive taste. The spices used in the traditional kabsa are usually black pepper, cloves, cardamom, saffron, cinnamon, black lime, bay leaves and nutmeg. 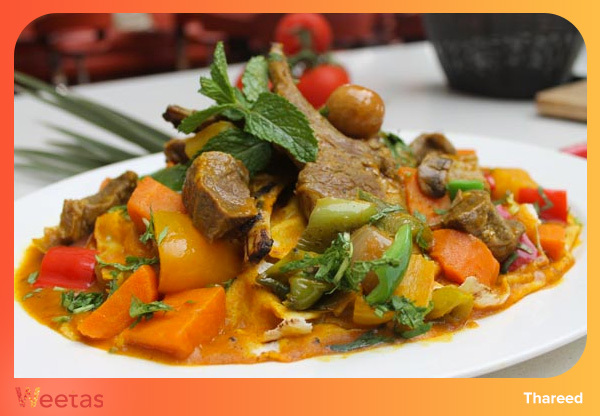 Almost all kinds of meat can be used in making this traditional Saudi dish; it can be made with chicken, goat, lamb, camel, beef, fish or shrimp. You can now even purchase some Pre-mixed kabsa spices and cook your own Kabsa at home. They definitely reduce preparation time, but may not taste exactly the same. The traditional Saudi Mutabbak is made of stuffed pan-fried bread. It is commonly found the Hejaz regions. The name mutabbaq means folded in Arabic. This traditional food in Saudi Arabia can also be found in, Yemen, India, Indonesia, Malaysia, Singapore, Brunei, and Thailand. Depending on the location, the name varies slightly and the ingredients can significantly vary. The dough and the stuffing may differ from place to place, but the concept is the same. 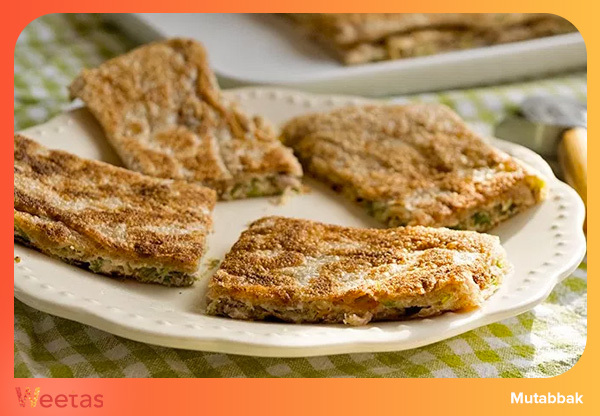 Flat bread, stuffed with meat or vegetables along with spices and egg mixture, then fried, folded and cut into single servings. 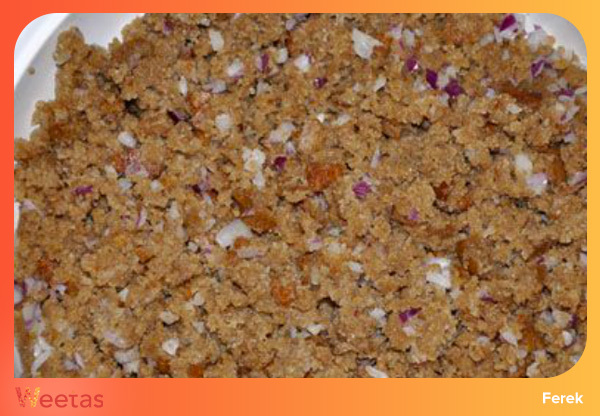 Jereesh or Harees is one of the oldest recipes among traditional food in Saudi Arabia. People have been eating Jereesh for hundreds of years. 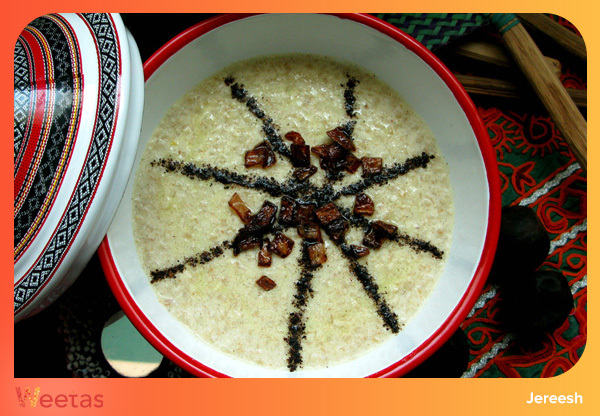 This traditional Saudi food is made with boiled crushed or coarsely-ground wheat, rice, onion, spices in addition to meat and broth. This might seem like an unusual combination for you but it’s absolutely heavenly. The consistency of this traditional dish varies between porridge and dumpling. It is especially popular during the month of Ramadan. 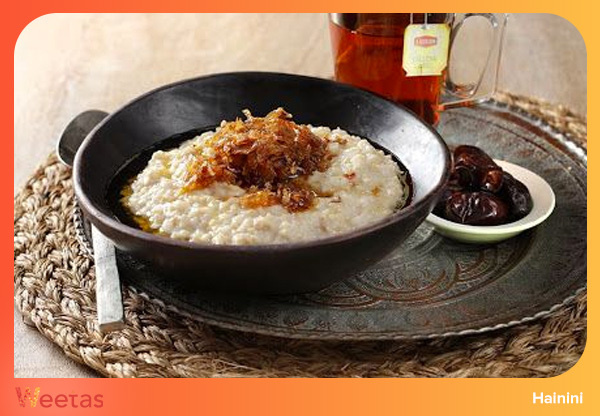 Saleeg is a traditional dish in Saudi Arabia that is made with white-rice cooked in broth and milk. Some people say it bears resemblance to Italian risotto. Saleeg is particularly popular in the Hijaz region. It is rich in taste as well as nutritional value, and kids always love it. Saleeg is warming winter dish in Saudi Arabia, it can be made with either chicken or meat, and it is usually served with duggus, which is a chili tomato sauce, and pickled lemons. Bread, broth, meat, vegetables and spices, no wonder Thareed is one of the most popular traditional dishes in Saudi Arabia. 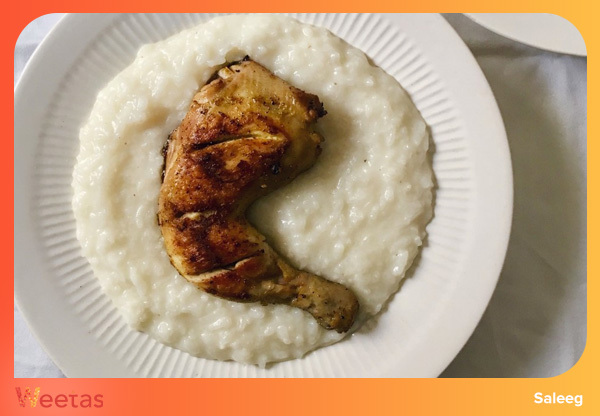 This heartwarming meal can be consumed alone or with a side of rice, it is usually a staple on the Saudi table during the month of Ramadan. The traditional winter comfort food in Saudi Arabia, Ferek is a brown paste made with caramelized onions. Ferek is usually made with caramelized onion mixed with powdered sugar, spices and ground bread or baked dough. It is sweet, savory and warming all at once. People are sometimes reluctant to try Ferek when they hear about it, a dessert based on onion paste?! They say, but once they do try it, they cannot stop! A traditional breakfast food in Saudi Arabia, Masoub is a Saudi Arabian banana bread pudding, topped with honey and nuts. The dish is popular for a reason, not only is it delicious, it is also very easy to make! You just mix some over ripe bananas with some ground flat bread, top with honey and nuts, ta da your breakfast is served! For years and years Arabs have been known to end their meals with dates, and in a country famous for its abundance of date palms that certainly applied. That is why traditional food in Saudi Arabia does not include a lot of dessert options other than dates, and dates stuffed with nuts. And of course the Hainini dessert which is made of dates! This traditional Saudi dessert id made of date, flour and butter, it is spiced with Cardamom and Saffron and it tastes like absolute bliss! 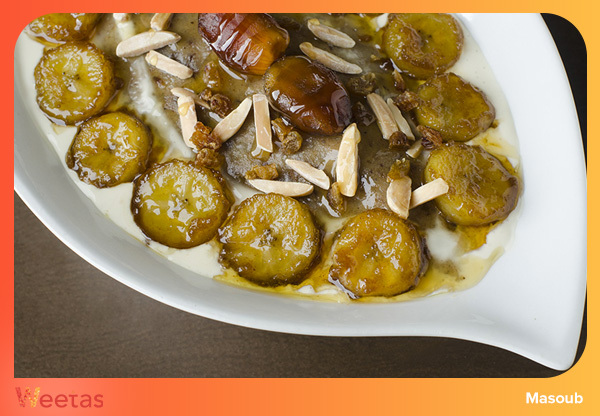 Soft, sugary, warm and with distinctive Arabian spices, this dessert is the epitome of Arab hospitality. Hainini is usually served with traditional Arabic coffee, especially in the month of Ramada.